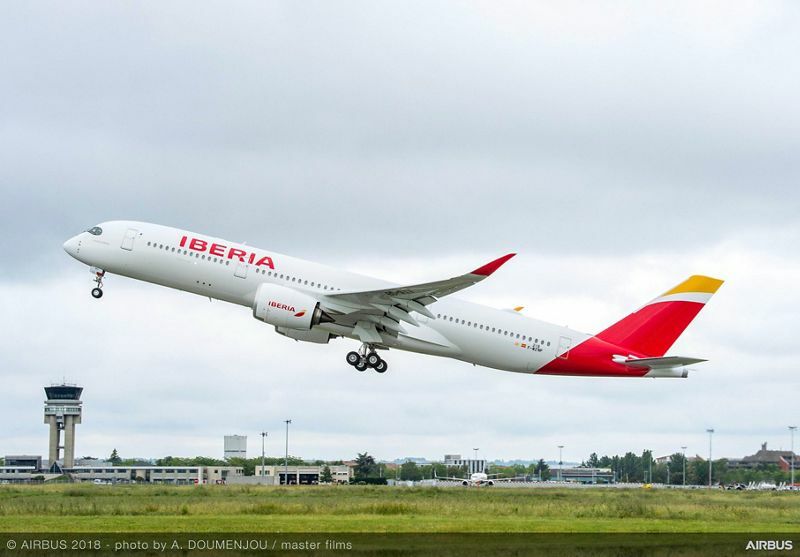 IAG's Spanish airline Iberia has taken delivery of the one of 16 A350 XWB aircraft, the first of the IAG group to do so. Iberia became the 18th airline to have the world’s newest and most efficient twin-engine widebody from Airbus when it took delivery on Tuesday. The aircraft is configured in a premium three-class layout, with 348 seats, including 31 full lie-flat bed Business, 24 in Premium Economy and 293 Economy. The A350-900 will join Iberia’s all-Airbus fleet comprising more than 100 aircraft (including Iberia Express), allowing them to leverage the full benefit of Airbus’ unique aircraft family commonality. 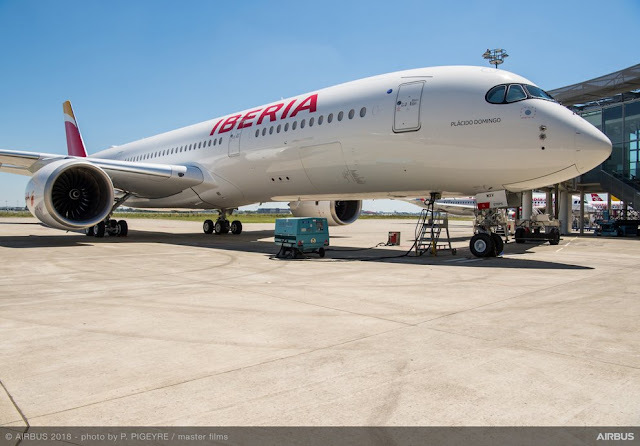 In order to reduce its carbon footprint, the A350 XWB delivery flight from Toulouse to Madrid was fuelled with a blend of sustainable jet fuel. 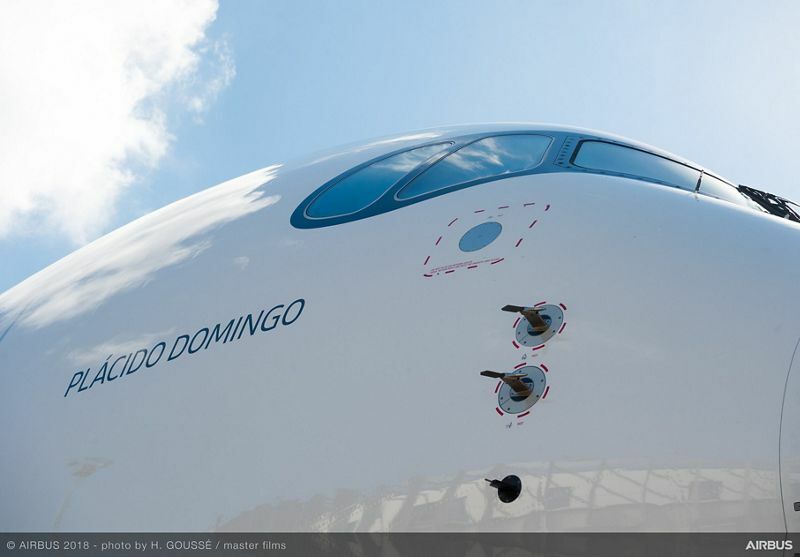 The A350 XWB features the latest aerodynamic design, carbon fibre fuselage and wings, plus new fuel-efficient Rolls-Royce Trent XWB engines. Together, these latest technologies translate into unrivalled levels of operational efficiency, with a 25 percent reduction in fuel burn and emissions, and significantly lower maintenance costs. As the founding member of “Airspace by Airbus” cabin brand, the A350 XWB cabin provides passengers and crews with the best in comfort, well-being and technology. To date, Airbus has recorded 847 firm orders for the A350 XWB from 44 customers worldwide, already making it one of the most successful widebody aircraft ever.